This month we are taking a new approach to help our readers select the best wines available on Moscow shelves. We started with distributor wine lists to come up with a list of Sicilian wines that should be available and then conducted our own independent review from rating sources to select the best from that list. We then checked supermarkets for availability, though this was just post the New Year so stocks were probably low. We learned a few lessons in the process. Sicily has long been the poor cousin of Italian wines best known for its Marsala, a seafarers’ fortified wine produced on the far eastern tip of the island using the local Catarrato, Inzolia and Grillo grapes. Though Marsala has been relegated to the kitchen for Chicken Marsala and Zabaglione there are quality examples available in Moscow from Cantine Carlo Pelligrino. Many of the world’s lesser wine regions have seen a resurgence in recent years with the help of modern winemakers, and this is the case with Sicily. Traditional family wineries have incorporated the latest winemaking techniques and are experimenting with blends of traditional grapes such as the red Nero d’Avola and white Catarrato with French varietals such as Chardonnay, Syrah and Cabernet Sauvignon. Many of the top names are represented in Moscow: Planeta, Calatrasi, Donnafugata Abbazia Sant’Anastasia, Cusumano, Tasca d’Almerita and Tenuta Rapitala. The principal wine regions are located in western Sicily near Palermo and in the eastern tip of the island, north and south. Italian wines of distinction carry the labels DOC ((Denominazione di Origine Controllata) or the DOCG (Denominazione di Origine Controllata e Garantita). Wines with these designations are strictly regulated with respect to area of production, grape varieties used, restriction of grape yields, grapes used, aging and other characteristics. IGT (Indicazione Geografica Tipica) is a less stringent designation. The best known Sicilian grapes are the deep red Nero d’Avola and white Catarrato. Others include Inzolia, Grecanico, Grillo and Ansonica. French varietals that have thrived in Sicily’s hot, dry climate include Chardonnay, Syrah and Cabernet Sauvignon. Nero d’Avola, known as Calabrese elsewhere in Italy, likes the hot climate and produces wines with excellent aging potential. Nero d’Avola wines are noted for dark berry and black cherry aromas with notes of black pepper, mint and charcoal – delicious with roasted meats and game. Catarrato is the principal grape traditionally used for Marsala. It produces a somewhat heavy golden white wine that blends well with Chardonnay. The original Abbazia Santa Anastasia was founded in 12th century near what would become the city of Castelbuono in southwest Sicily. 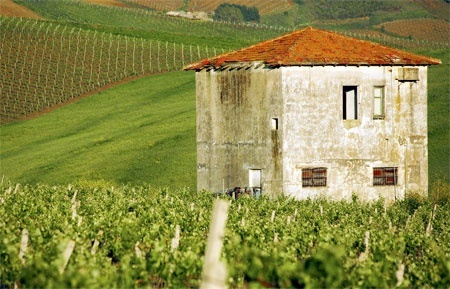 In 1980, engineer Francisco Lena began to clear the land to establish new vineyards and a winery. L’azienda Enoagricola Abbazia Santa Anastasia now produces wine in two series: Contempo and Cru. Tasca d’Almerita was established by brothers Carmelo and Lucio Mastrogiovanni in 1830 when they purchased the lands of Regaleali in west-central Sicily. It is now a completely modernized winery with 400 hectares of vineyards. Tasca d’Almerita produces a sparkling wine, Almerita Brut DOC. Cusumano is a family winery run by brothers Alberto and Diego Cusumano who took over from their father in 2001 and transformed it to a leading modern winery with help from Piedmont winemaker Mario Ronco. Cusumano has about 350 hectares of vineyards across Sicily from Alcami in the west near Palermo to Butera in the east. Donnafugata is the modern extension of a 150 year-old family winery in Marsala that now includes vineyards in the DOC Contessa Entellina area in western Sicily and on the nearby island of Pantelleria. Donnafugata also produces dessert wines from Zibibbo (Moscato d’Alessandria) grapes on Pantelleria. Planeta, founded in the 1990s, now consists of four estates extending from the family’s original 17th century farmhouse at Sambuca di Sicilia. 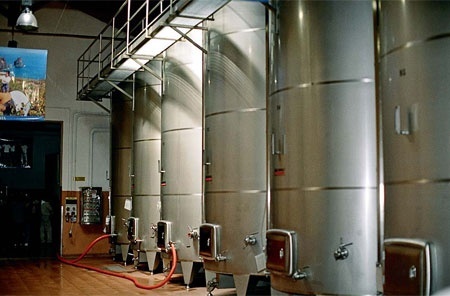 Two wineries are located in Dispensa (Menfi ): Cantina Piccola produces international red wines and Cantina Grande Cantina Piccola the La Segreta line. At Buonivini (Noto), Planeta has built an ultra-modern winery “entirely underground in order to preserve the delightful landscape.” At Dorilli (Vittorio), they have restored 100-year old winery to produce Cerasuolo di Vittoria, Sicily’s first DOCG wine. Tenuta Rapitala was founded near Alcamo in southwestern Sicily in 1960 by French Naval Officer Hugues Bernard Comte de la Gatinais. The estate now consists of 225 hectares of grapes. From our review of various distributor lists we found more than forty Sicilian white wines and fifty red wines and two or more vintages of many of each. However, there were far fewer wines represented on the shelves. Metro Cash and Carry has the best selection and prices that could be 20% or more less than boutiques or other supermarkets though you need a membership card to get in. Azbuka Vkusa also has a good selection but we were surprised that Sedmoi Kontinent had very few as did the AM markets. Of the boutiques the Grand Cru shops owned by Simple Wines, the importer for Tasca d’Almerita and Donnafugata, had the best selection. The Vinum, Decanter and Magnum boutiques of DP Trade, importer for Abbazia Santa Anastasia, and the Intendant boutique of Cusumono importer MBG Impex, carry their brands, Kollektsiya Vin carries a small selection but Whitehall has almost none. With few exceptions, the wines found in Moscow from Abbazia Santa Anastasia, Tasca d’Almerita, Cusumano, Donnafugata and Planeta exceed 750 rubles ($25) and some of the wines from Calatrasi and Tenuta Rapitala are more modestly priced. Passport has prepared a table of Sicilian wines that it appears have or are imported, however availability varies significantly. Note that each winery tends to have its star wines, those that it enters for tasting panels at trade events or that regularly obtain higher ratings from professionals. However, keep in mind that a high rating in one vintage does not carry over to another. For instance the Planeta Syrah 2004 has a Wine Spectator rating of 91 while the 2005 is rated only 86.